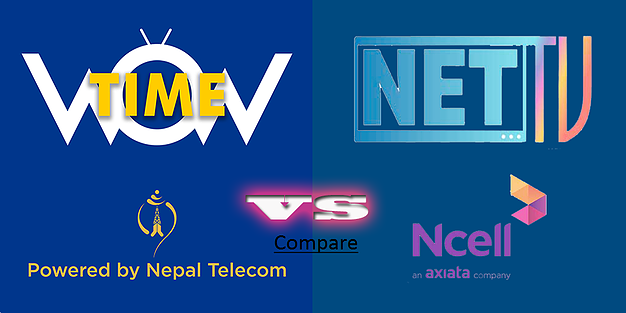 NetTv Nepal app and set-top-box is the most popular and widely used IPTV service in Nepal. It was launched in the year 2016 and since then no other IPTV application has been published for Nepalese users. A few days back, a new IPTV application WOW TIME was published for Android and IOS platform which is powered by Nepal Telecom. This application requires Nepal Telecom number for registration thus it is focused for users having Nepal Telecom SIM card. The IPTV service that has been provided by NetTv is very good and reliable to people. So, almost whole users were under NetTv service but the introduction of another IPTV application WOW Time has raised competition in the market. Since WOW Time is associated with Nepal Telecom, many users are expecting to receive cheaper service than before. After going through the application, I was quite satisfied with streaming speed, audio-video quality, and UI design. It provides additional FM section which includes more than 50 online Nepali radio station. 1. EPG (Electronic Program Guide) to list current and scheduled programs that are or will be available on each channel and a short summary or commentary for each program. 2. Timeshift feature allows users to watch programs that were broadcasted in last 7 days, which means auto recording. 3. NetTv provides hundreds of movies from its own server that is fast and easy to access. 4. Premium channels are made free on android and ios app for set-top-box users. 5. NetTv has News section to get the latest news on your phone. 6. It has five different payment methods including e-Sewa, SCTnPay, iPay, IME Pay and recharge card. 1.WOW Time is very lightweight application and is about 2.4 MB only. 2. It includes FM section which has more than 50 online radio stations from Nepal. 3. WOW Time is supposed to provide cheap IPTV services to its users.